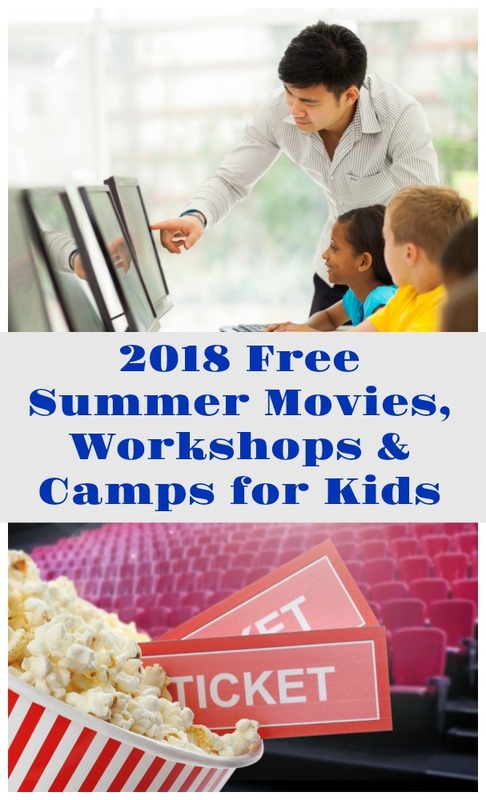 Check out these FREE & frugal Summer movies, programs & workshops for kids where you'll find lots of frugal ways to entertain your kids this summer! 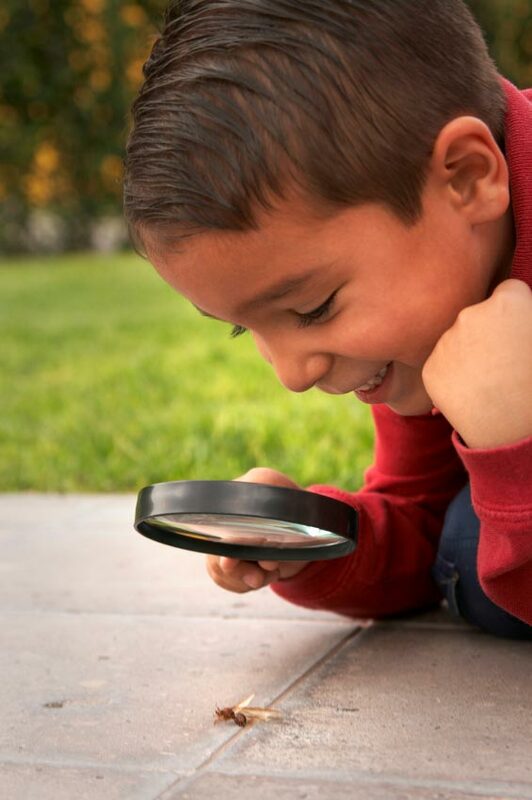 There are a number of free programs & events near you that your kids can try this summer -- and my favorite part about these are that they are only a few hours and give kids a way to try something new without investing a ton of time (or money). Summer is the perfect time to try out something new -- you never know what your kids will gravitate to unless you introduce them to new things! First, check out our post on FREE Summer Reading Programs & Rewards -- so many ways to inspire your kids to do some reading in the coming months. And be sure to grab the FREE printable summer activities calendar of "100 No Cost Things to do this Summer" too! A quick warning -- some of the camps and workshops will fill up quickly!! And be sure to ask about the parent/child policy at each of the events & activities -- some require a parent to stay onsite during the duration of the program. There's nothing like ducking into an air-conditioned movie theater on a hot summer day! Regal Cinemas: $1 Summer Movies - movies play on Tuesdays and Wednesdays and I LOVE that they show some movies from the previous year and others that are old favorites like The Iron Giant and Curious George! Cinemark Summer Movie Clubhouse: $5 for 10 movies or $1 per show -- movies show Mon - Thursday mornings & Saturday mornings too! B&B Summer Movies: $3 per person with shows Tues - Thursday all summer. One of the longer standing free summer programs, kids receive 2 free games of bowling every day all summer long! Search their website to find bowling alleys all over the US & Canada that participate. This is a great option for those hot days when you're looking for a good indoor activity -- especially for a group of kids too. We love this DIY-at-home option for STEM camp! No date on when Maker Camp sessions will launch but they usually start mid-June. Your kids can join in to build & create some really cool projects for six weeks over the summer. If you'd like to see what types of projects are offered, check out the 2016 Maker activities and Maker Camp 2017 too. If your kids haven't done previous camps, they can start any of the past years' activities which are all online. For building fun, make sure to check out the Free Kids Workshops held on the first Saturday of each month at the Home Depot. pssst ... they also have awesome DIY workshops for adults too. Register early for these - they are popular! If you have a daughter ages 8+ who loves the American Girls books or dolls, try attending one of their free in-store events! The American Girl stores have some fun craft events, scavenger hunts and book clubs throughout the year. Browse their calendar to find a store & events near you and look for the events that state 'Free and open to the public'. Always check with your local nature center as many offer some amazing workshops for kids and families! We've attended family hikes, animal visits, naturalist programs, archery clinics and more that cover outdoor skills. Use this list at Wikipedia to locate a local or state-supported nature center near you. Check their website for summer workshops or give them a call and ask about any offerings they have for kids and families. One of our favorite summer finds in the Family Summer Camp at Bass Pro Stores. Their page still says "coming soon" so no details but events & workshops are usually offered in late June through July. You'll find more than a dozen kid-friendly, interactive clinics that cover a variety of topics. At each clinic, kids will either watch a short video or presentation from a staff member, complete some fun games/learning pages and do an in-store activity. For each clinic they complete, your child will earn a free pin! Last year, they also gave out lanyards so the kids could keep al their pins together. My daugther attended clinics on camping, fishing, pets & the outdoors, animal tracks and outdoor skills. We are huge fans of the Junior Ranger program at the National Parks -- be sure to read our 'Why We Love the Junior Ranger Programs' for details! Almost all of the national parks and many of the national historic sites have these free programs. Kids will get an activity book for each park or site. Once you complete the activities for their age, your child can earn Junior Ranger status along with a certificate, pin or patch (varies by park). One of the best things about this program is that you can complete some of the Junior Ranger activities online and at your home! Did you know that Apple Stores offer free youth workshops and Apple Camp for Kids? These sessions offer your kids the opportnity to learn about the programs and apps for their Apple devices along with opportunities to create and share. Kids can make movies, create music and program devices. These are in-person workshops offered at the Apple retail stores around the country. Check the Apply Today event calendar -- filter for your city along with the 'Kids' category to find workshops near you! At the Tech Fun for Kids workshops, your kids can learn quite a few new skills! Microsoft stores offer a variety of free workshops for kids including YouthSparks summer camp, DigiGirls events, coding camps and more. Find all the details on the calendar for your local Microsoft store. Believe it or not, many art museums offer FREE admission every day -- and quite a few will have summer activities, scavenger hunts and other fun programs when you visit! Check the event calendar for any museums near you to find special events or daily activities. Also check the Target Community website for free admission days to children's museums in some of the larger cities around the US. Great list! I saw a billboard for the Bass Pro Shop Family Summer Camp and was wondering what that was. Thanks for all the great info. Sharing. Check your local libraries too! I work in a library in South Carolina and we have two weekly programs for children, all for free. We'll be featuring sing-along movies (on a big screen!) and having magicians and other performers as well. Definitely one to check out. And if your kids read, usually they can get a prize for free just for reading some books during the summer!